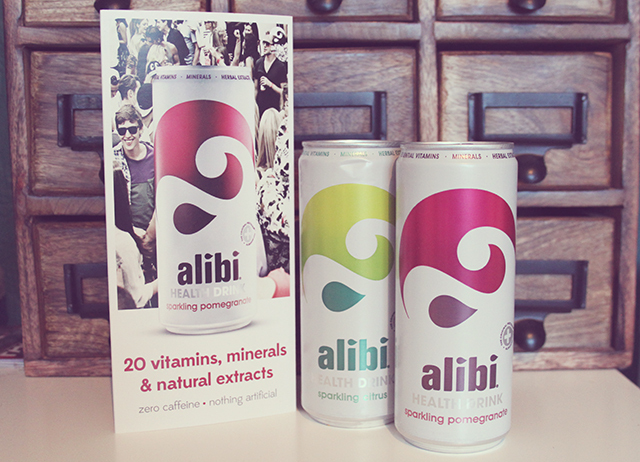 A few weeks back I was contacted by the lovely folks at Alibi and asked to road test their range of health drinks. Being caffeine intolerant, I was super happy to find out that they were caffeine free soft drinks, so I jumped at the chance to add this into the healthy lifestyle I’m currently maintaining! I’m always a little dubious about health drinks though, so I was really curious to try these out and see what they were like. First off let’s just quickly talk a bout packaging. I am an absolute sucker for pretty things, and the packaging on these ticks all the boxes for me. The cans are tall and thin, in a matte white finish which gives a really classy look to them (something I didn’t think possible for a can?!) and the branding is super slick and punchy. Can you tell I work in marketing? Next up I wanted to mention all the goodness that is packed in to these little cans. As you can see below these are jam packed full of vitamins that have all sorts of health benefits, which is something rarely see in a soft drink. 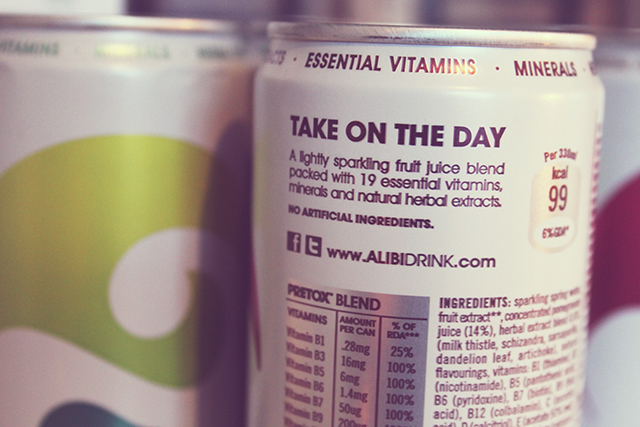 The Alibi drinks are known as ‘Pre-tox’ drinks, designed to be consumed ahead of a busy day or activity to give you energy and prepare you for what you have ahead of you. Because of this point I have purposely been drinking these about an hour before going to the gym, and have definitely seen a difference in my stamina when drinking these. I don’t feel as tired and can usually do that little bit extra than usual! 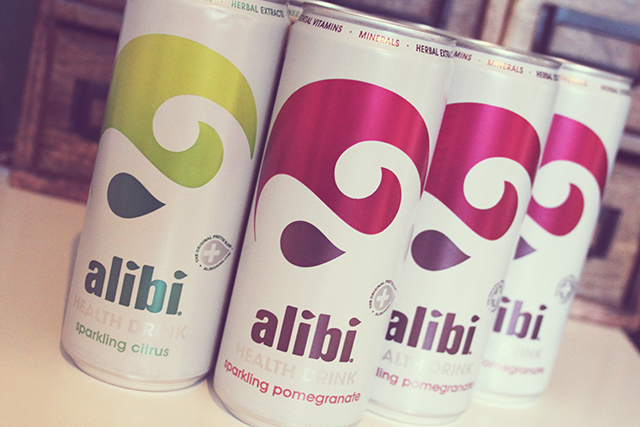 I was kindly sent a box containing a mixture of the two flavours that Alibi produce, which are Sparkling Pomegranate and Sparkling Citrus, both of which I love (but Citrus just beats it a little bit!) and both are free from artificial flavourings, colourings and sweeteners. I’m well into the box now and have even been taking these to work with me for a pick me up in the afternoons when I start feeling tired. Overall I am loving these and would definitely recommend giving them a whirl if your looking for something a little different but not packed with sugar or artificial rubbish! 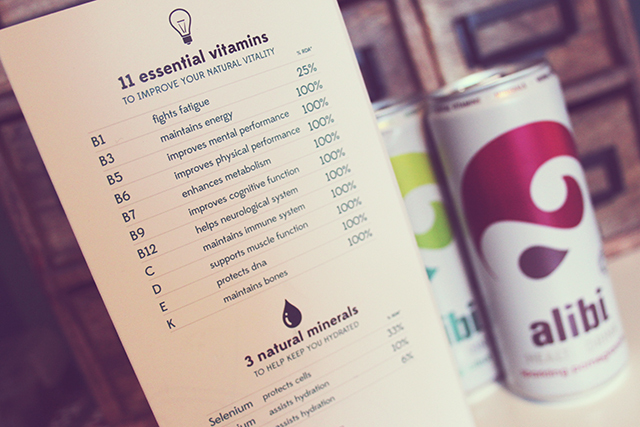 If you want to try these out you can find them at a number of stockists including Waitrose, Ocado, Booths and Amazon. Let me know if you try these, or if you already have! These look so pretty and sound delish! I'm always dubious about health drinks too!